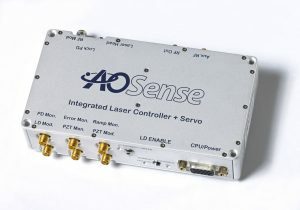 Integrated Laser Controller - AOSense, Inc.
AOSense has developed a compact Integrated Laser Controller (ILC) that can be paired with our External Cavity Diode Lasers (ECDLs) to control laser current, piezo transducer (PZT), and temperature. The ultra-low noise electronics are fully digitally controlled. The ILC dimensions are only 5″x2.9″x0.95″. 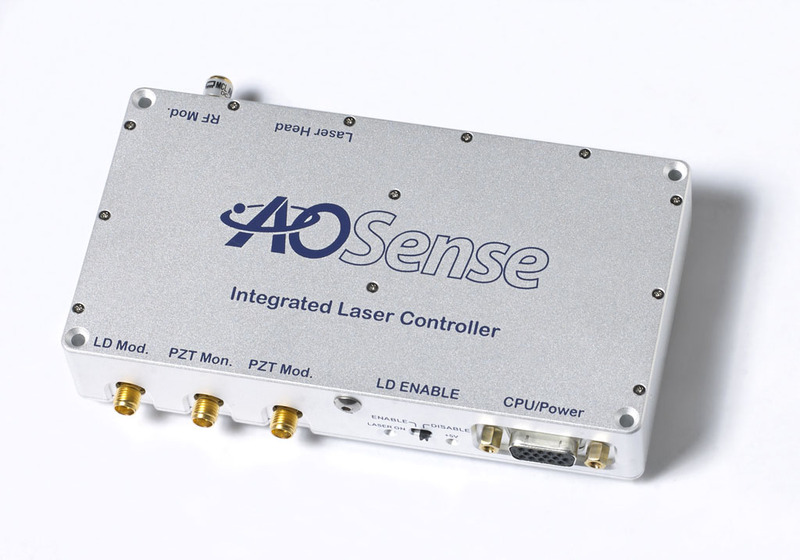 We provide software with an easy-to-use graphical user interface (GUI) that can control multiple lasers from a single window. 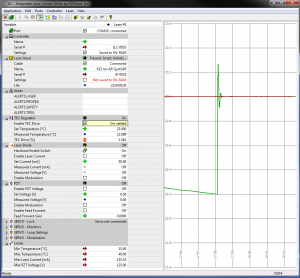 If preferred, commands may be sent over a USB virtual COM port. 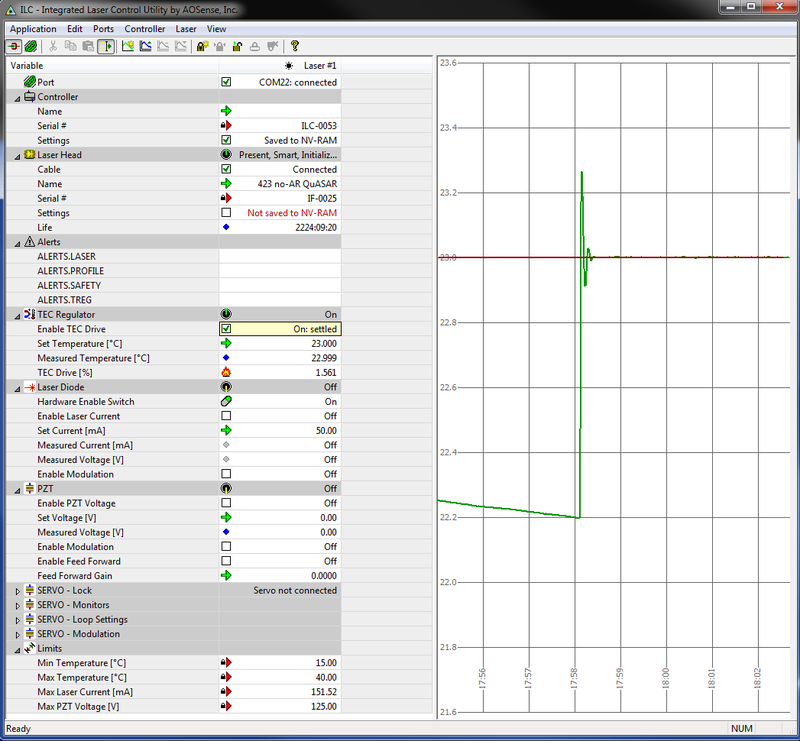 The software screenshot below (click the image to enlarge) shows the interface including a plot of the temperature (green line) as it settles to a commanded value. Our ILC-Servo has all the functionality of the ILC, plus makes it easy to lock the laser to an atomic line or reference cavity.